Since we started offering sublimation supplies, our customer service department has fielded a lot of inquiries from people who have questions about some technical aspect of their systems. Since we answer the same questions a lot of the time, I thought it would be useful to put our answers in writing so they can be found 24 hours a day, 7 days a week, 365 days a year. Q1: Is the necessary driver included with the printers you sell? A: Yes. We include a CD containing the correct driver for the printer that has been sold with each order. Q2: My printer driver isn’t working. Where can I get a replacement? A: Sawgrass offers downloads of the latest Power Driver software for each printer on their website. You can find and download drivers for either sublimation printers or ChromaBlast printers there. Q3: I’m not sure how to set-up and install my printer. Can you help? A: We certainly will be happy to help, but we may also direct you to the installation videos on the Sawgrass website. These videos offer step by step instructions and may be a better learning tool for some people. Sawgrass offers vides for each sublimation printer model they support as well as for each ChromaBlast printer model. Q4: My workplace requires we have MSDS sheets for the products we use. Where can I get MSDS sheets for the ink you sell? A: Sawgrass has downloadable versions of the MSDS sheets for their inks available on their website. You can find Sublijet MSDS sheets and ChromaBlast MSDS sheets there. Q5: I have a question about Sublijet or ChromaBlast ink that you haven’t covered. Where can I find more information? A: Sawgrass has an extensive FAQ section of their very own. 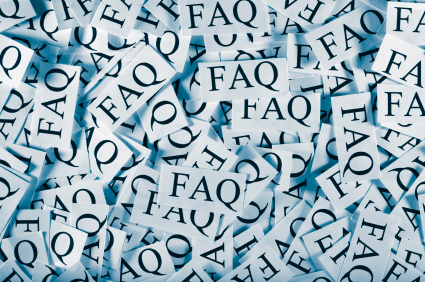 You can find Sublijet FAQs and ChromaBlast FAQs on their website. Q6: What if I still haven’t found the answer I need? Let us know. Our first commitment is always to customer service. We’ll do our best to help you get the answers and assistance you need.